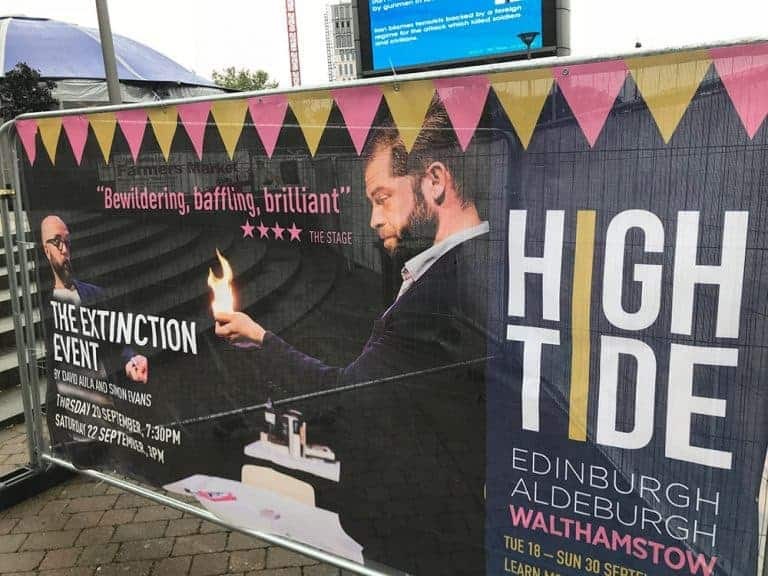 HighTide Festival returned to Walthamstow for the second year from 18th – 30th September 2018. 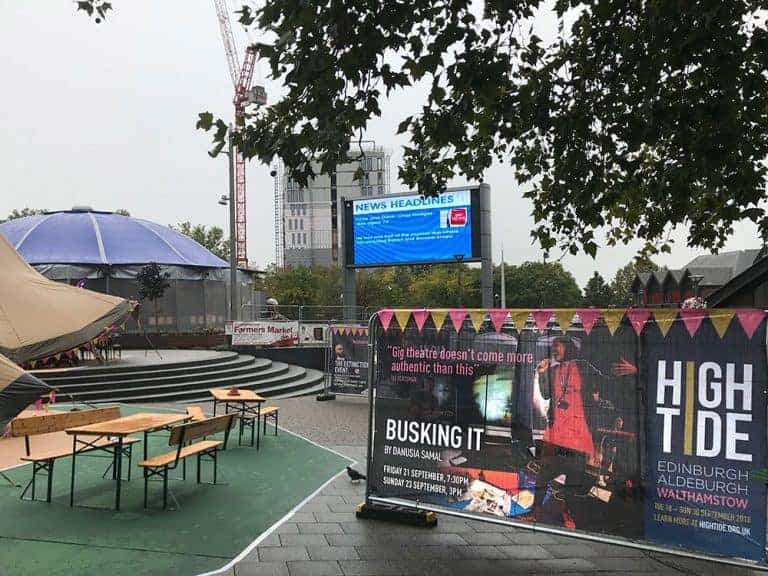 The festival offers audiences the opportunity to see world-class live performances at affordable prices and to attend a brand-new theatre where emerging talent, several of whom are Waltham Forest residents, take to the stage. 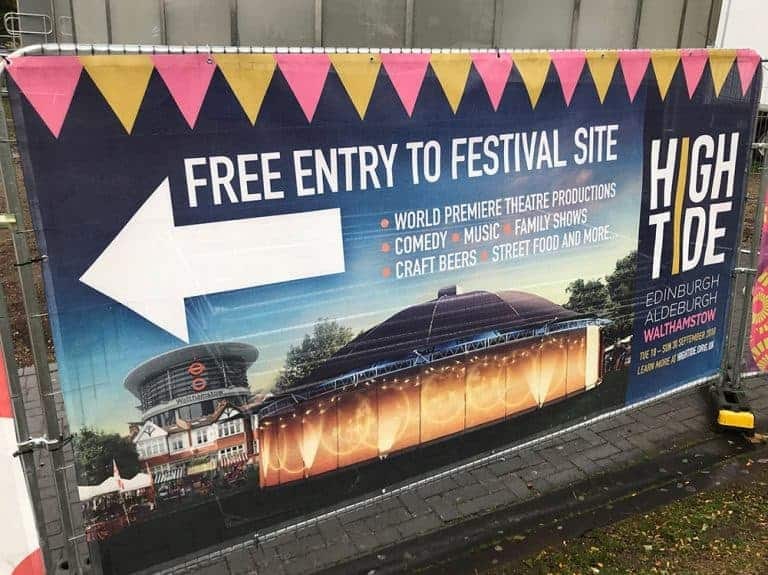 Sunbaba provided event branding for more than 50 heras fence panels, each with its own unique design. 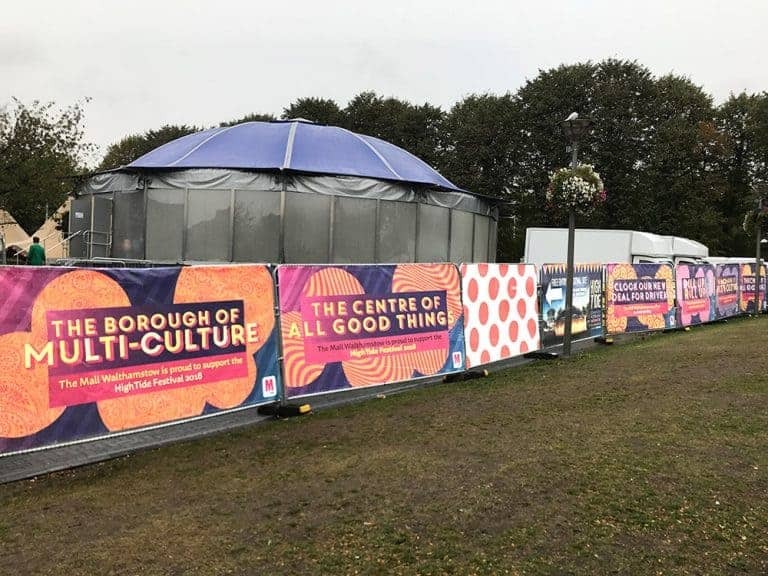 With a Festival Hub in Walthamstow Town Square Gardens that was free to enter and open every day to the public where people could buy tickets, enjoy food and a drink, the panels and their branding were put to good use. 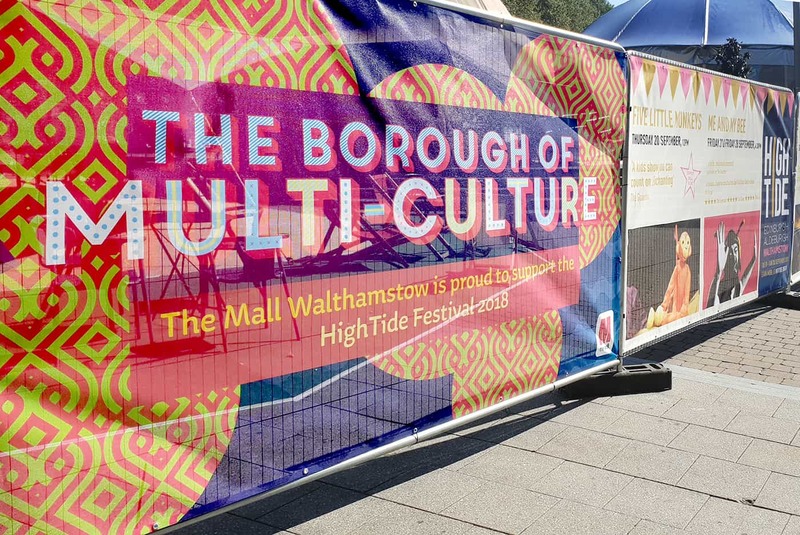 Measuring 3.37m wide x 1.78m high they promoted the space’s café area and several initiatives by the Walthamstow Mall, including its new car boot sale and 24-hour parking in the town. 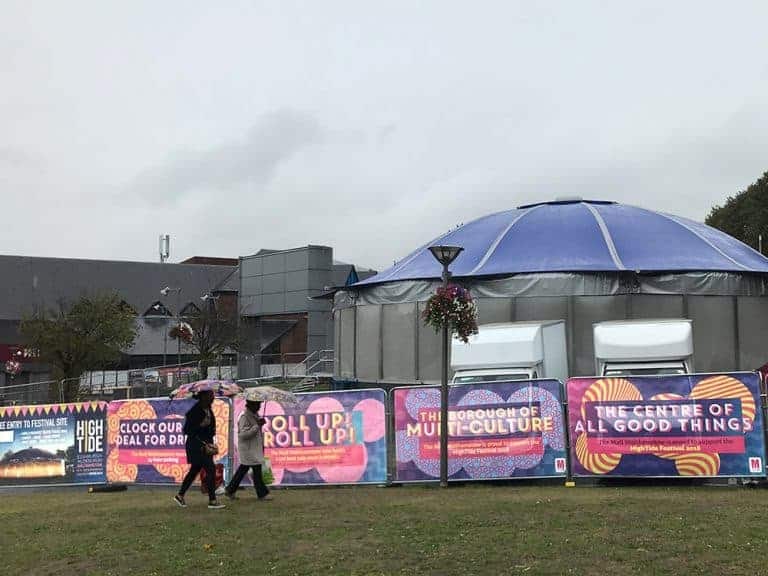 In addition, the panels featured information about the festival itself, from event schedules and promotional signage for individual acts to directional signage. Printed on a superior PVC Mesh and finished with turned edges with eyelets the quality of the images and colours was excellent throughout.